March 8 — The Houston Texans re-signed punter Matt Turk to a contract. Turk served as the Dolphins’ punter from 2000 to 2004, punting 402 times for a 39.2-yard average. March 8 — The Kansas City Chiefs re-signed wide receiver Chris Chambers to a contract. 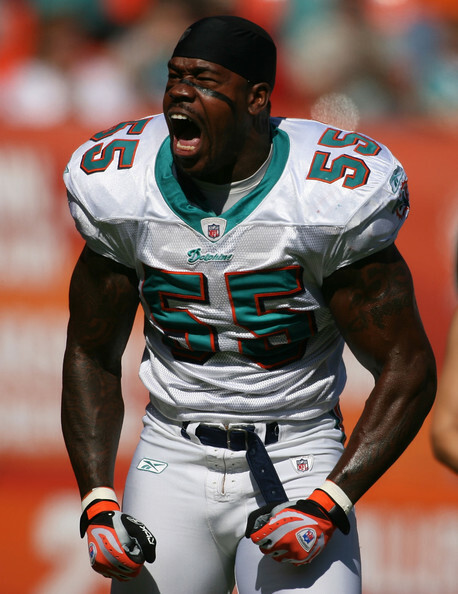 The Dolphins’ second-round pick in 2001, Chambers spent just over six seasons with the Dolphins and was selected to one Pro Bowl before being traded to the Chargers in October 2007 for a second-round pick (eventually used on quarterback Chad Henne). Chambers left the Dolphins ranking fifth in franchise history in receptions (405), fourth in yards (5,688), and fourth in touchdowns (43). March 9 — The Buffalo Bills signed offensive tackle Cornell Green (Raiders) to a contract. Green spent the 2001 season on the Dolphins’ practice squad before being traded to the Tampa Bay Buccaneers the following preseason. March 9 — The Seattle Seahawks re-signed franchise player and placekicker Olindo Mare to a contract. 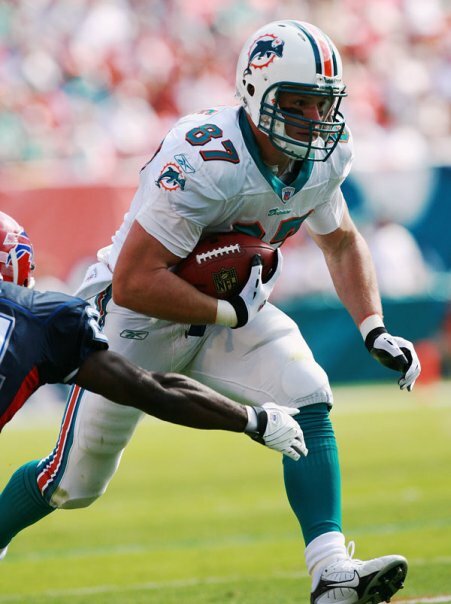 The Dolphins’ all-time scoring leader with 1,048 points, Mare was the Dolphins’ placekicker from 1997 to 2006 after joining the team as an undrafted free agent. He was selected to the Pro Bowl in 1999. March 11 — The Washington Redskins signed tight end Sean Ryan (Chiefs) to a contract. Ryan appeared in the Dolphins’ 2008 regular season opener, but was released on Sept. 12. March 17 — The Arizona Cardinals re-signed center Ben Claxton to a contract. Claxton spent part of the 2003 regular season on the Dolphins’ practice squad. March 19 — The New York Giants signed punter Jy Bond to a contract. An Australian football player, Bond was a member of the Dolphins’ offseason roster from March to June 2009.